The legendary manager of Manchester United Sir Alex Ferguson rarely ever made a wrong decision in his tenure of 27 years at the helm, where he conquered almost everything. Most of his decisions were very tactical and his success spoke volumes of his prowess. 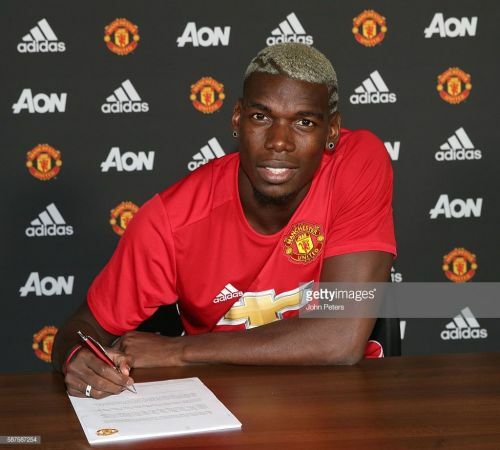 But later on, he did accept a mistake that he made during his tenure and that was letting go of the Frenchman Paul Pogba, a mistake which would cost Manchester United £ 89.3 million four years later. He left Manchester United back in 2012 and developed himself into one of the best formidable midfielders in the world and a talisman for Juventus where he won five successive Scudetti. Ed Woodward turned the transfer battle in 2016 in his favor against Real Madrid where he managed to convince Pogba to come back once again to the Theater of Dreams from the Bianconeri. After the signing was complete, Manchester United manager Jose Mourinho spoke of Paul who looked like a "kid that was back in school". Fans at United were of the belief that he would bring to United something which had been lacking ever since the transfer of Cristiano Ronaldo – raw aggression in attack and unparalleled talent. Pogba doesn’t possess the same goal scoring rate as Cristiano but nevertheless he is a powerhouse in midfield who contributes in maintaining defensive solidarity. Many had the belief that the team have missed a capable box-to-box midfielder since the retirement of Paul Scholes. 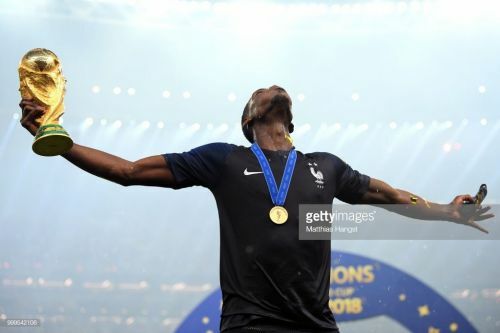 Pogba was the product of the youth setup at Manchester United in his first three years and subsequently being drafted into the reserves squad ahead of the 2011/12 season with a view of getting a few appearances for the senior team under his belt. That although didn't happen as his appearances were seemingly few, restricted to a few cup ties and substitute appearances, which inevitably pushed him from Manchester United that summer for a free transfer to the Bianconeri. He did transform himself for the better in those four years at Juventus. His thorough, thought-out decision-making process aimed at benefiting the team as a whole, a characteristic that surely appeals to the style of Mourinho. Physically he has improved, which helps him in holding off opponents with ease while his well-trained legs bursting forward helps in the defensive side of his game. His capability to hit long-range goals is evident from a rejuvenated on-field swagger he has developed in the way he sometimes unleashes strikes from far. During the World Cup, it was seen that the Frenchman has become a player who can hit accurate long and short passes, while varying his pace, power and delicacy in his delivery of the ball. As one of the stars of the present day, he often becomes a target of dirty tricks from opponents to throw him out of his stride, so it is important on his behalf that he keeps his cool in situations such as these. Let us have a closer look at his tenure so far at Manchester United. In his 71 appearances so far for the Red Devils, he has scored 14 goals and 17 assists and a scoring rate of 0.2 per match. In attack, he has a shooting accuracy of 34% with 70 shots on target. He has been unlucky with him hitting the woodwork eight times while he has missed 15 clear chances. Defensively he has made 71% successful tackles with 60 interceptions and 86 clearances. With 13 yellow cards and one red card conceded he has made fewer fouls comparatively to the other League players. In this season he has been involved in major controversies with talks of him leaving United brewing. It is a pain for the fans to see one of their finest players flirt with another club and hinting the possibility of leaving. Pogba's claim that "I give it my all for United always" is of little comfort, especially when this season's start has been marred with controversies. This isn't something which United fans are facing for the first time. During the summer of 2008, their star player Cristiano Ronaldo was regularly linked with a move to Real Madrid and he similarly happily encouraged those rumors. In the summer, if a choice was provided to the supporters between the player and manager, many of them would have picked the former. He was viewed as someone who would build himself to be the long-term hope for the club, while Jose Mourinho assisting him to be one so for the club. But on the contrary there has been a clear rift between the boss and the player. After the draw against Wolves, Pogba's 'attack, attack, attack' might have indirectly been pointed to Mourinho's style of 'parking the bus' style of play. After the Carabao Cup loss to Derby subsequently at the next day in training Manchester United manager, Jose Mourinho told Paul Pogba that he will never captain the club again and stripped him of vice-captaincy. 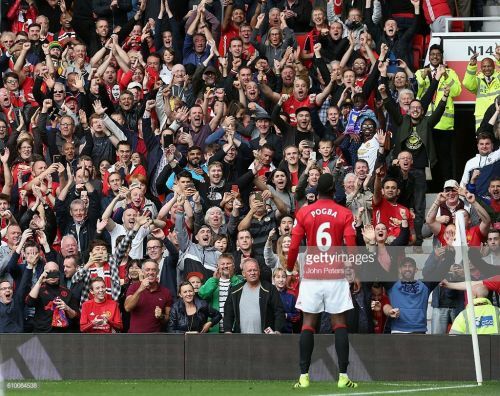 Pogba should stay at Manchester United, not because he has been at Old Trafford before and knows the club well, but rather to develop himself into one of the world's best, taking the club to new heights in the process. He is one of the rare few high-profile signings the club has made in recent times and is undoubtedly a star who is sure to be courted by many big clubs. But he should be courteous enough to remember that no man is bigger than the club and the strength of the United squad lies in their togetherness. He has a lot on his plate to offer to the Red Devils and Jose should hone his talent with utmost care so that he performs to the maximum of his potential and doesn't add to the list of the many disappointments that the club has seen post-Ferguson era.